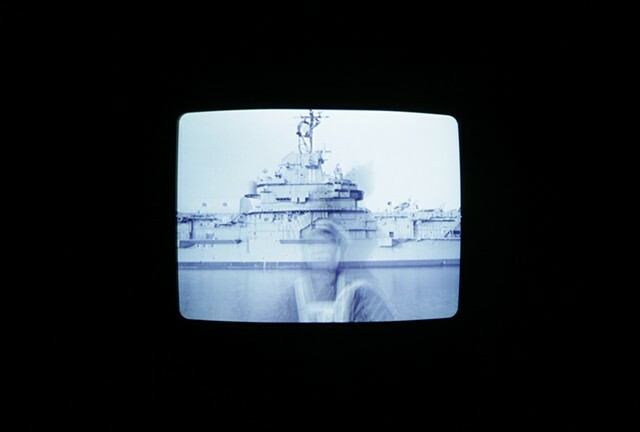 The Secular Trinity (Man is Boat Woman is Port), taking place in a dark underground space, is an installation composed of a black-and-white 2-channel video, a drum placed in the back of a corner, and a mirror that reflects the drum. 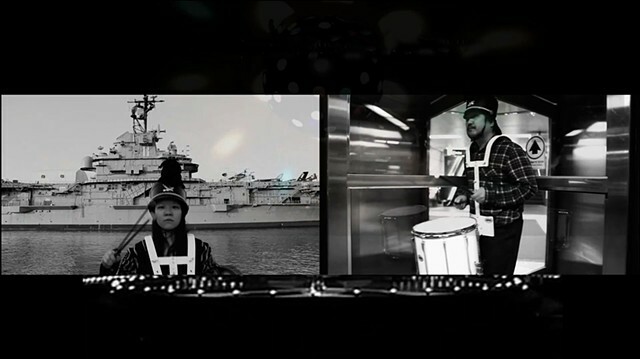 In the video, the two persons play the drum, with the man at the revolving door and the woman with the ship berthed at the port at the backdrop. Like the man who remains swiveling on the same spot, the woman, who switches to all directions of North, South, East, and West, can't get out of her position. 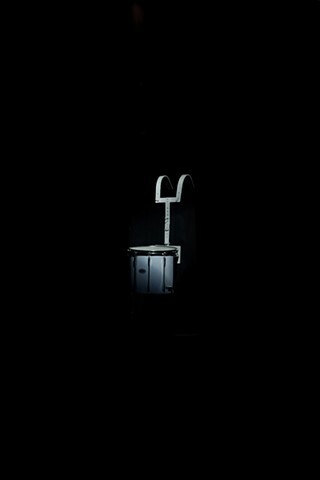 The man and the woman, as they stay where they are, deliver the demanding and repetitious psychology of their relationship. 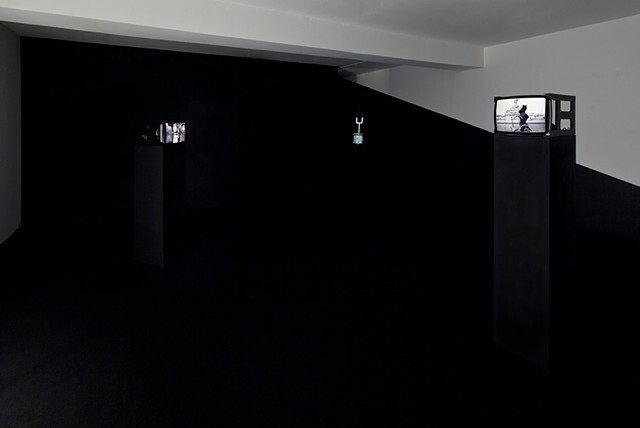 Meantime, the sound of rhythm transmitted from the two channels of each video is synthesized into a new performance in the exhibition space, while the reflection of objects in the mirror implies an incessantly occurring memory, like marching in place and the motion of the revolving door.